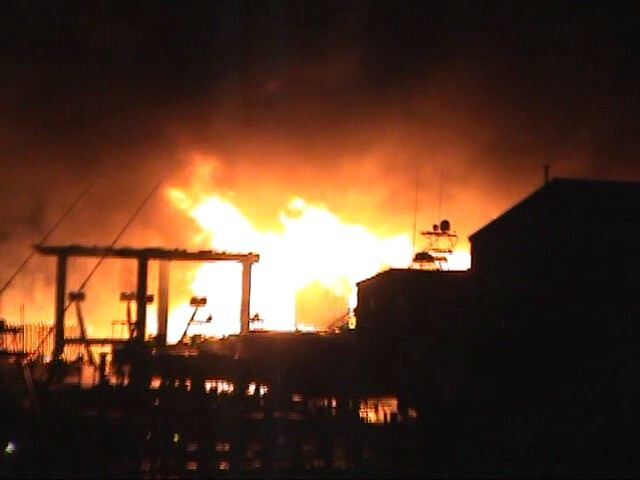 Assorted photos and stills from videos by Deb James, Herb Vollman, and others. 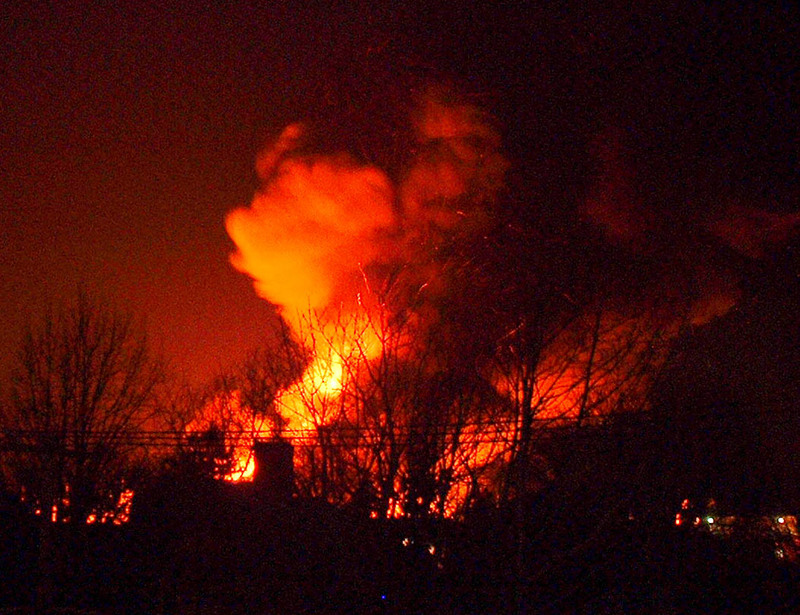 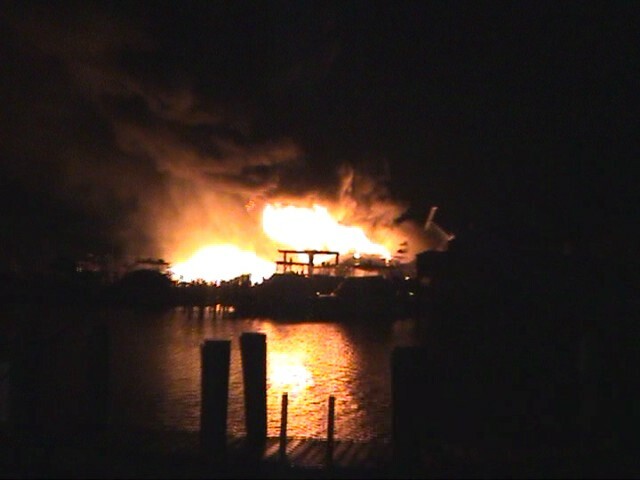 View from West Bay Road of massive fire. 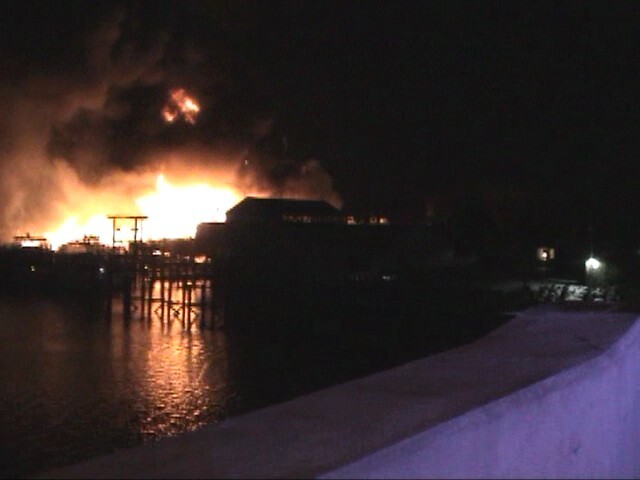 View of fire from over a mile away across the bay. 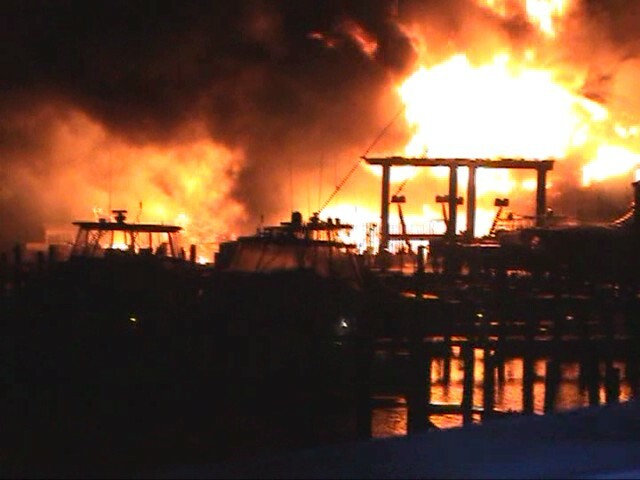 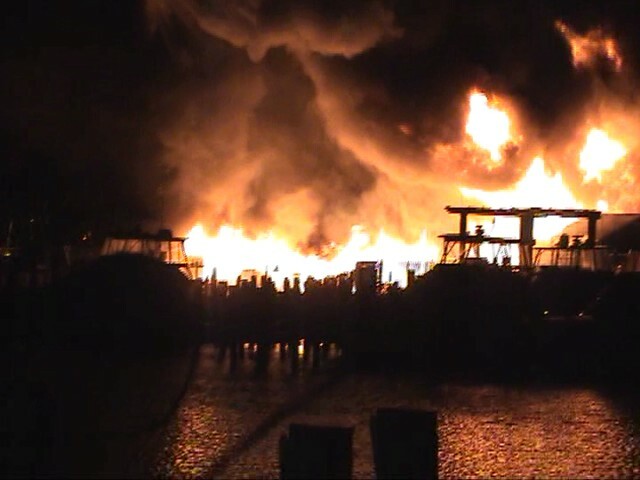 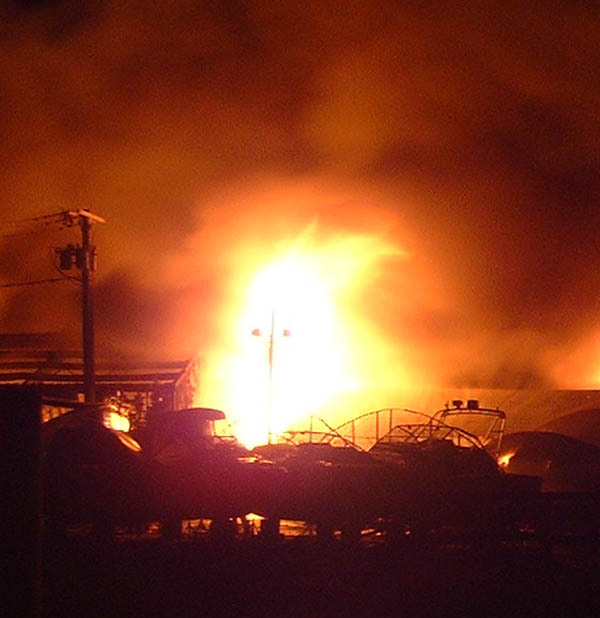 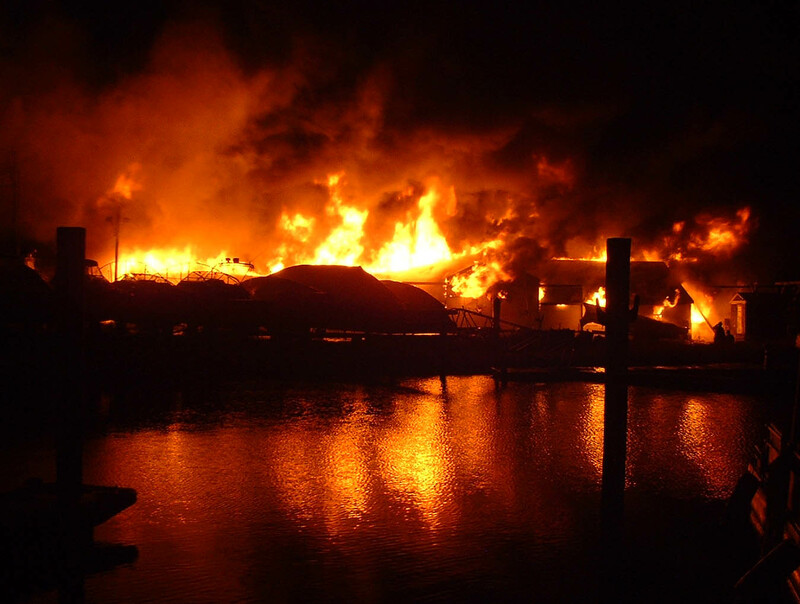 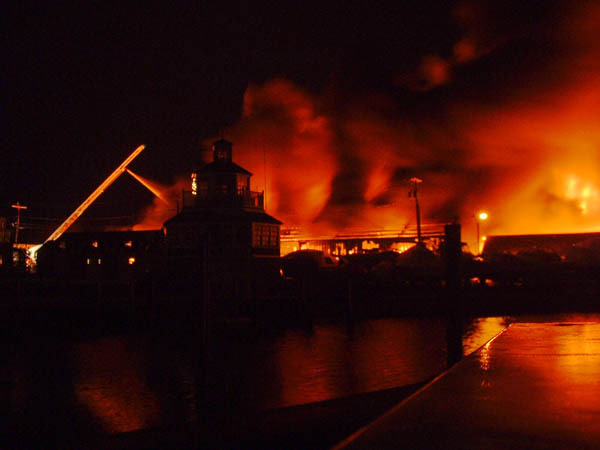 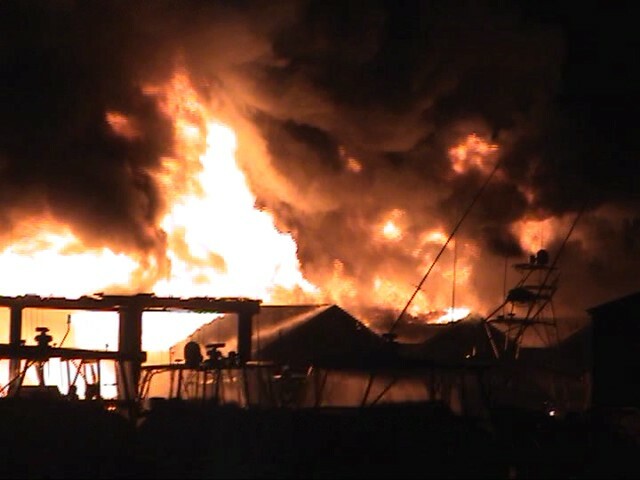 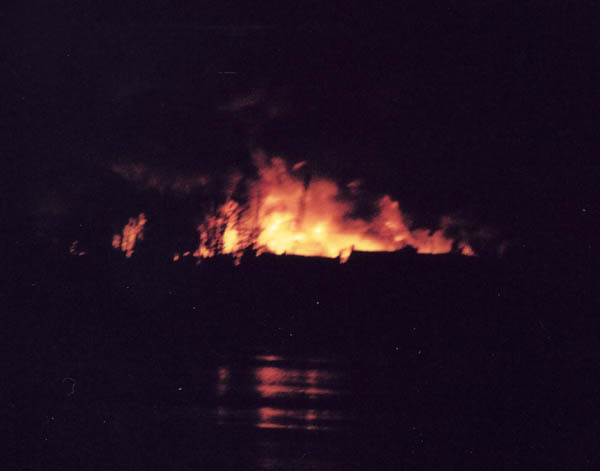 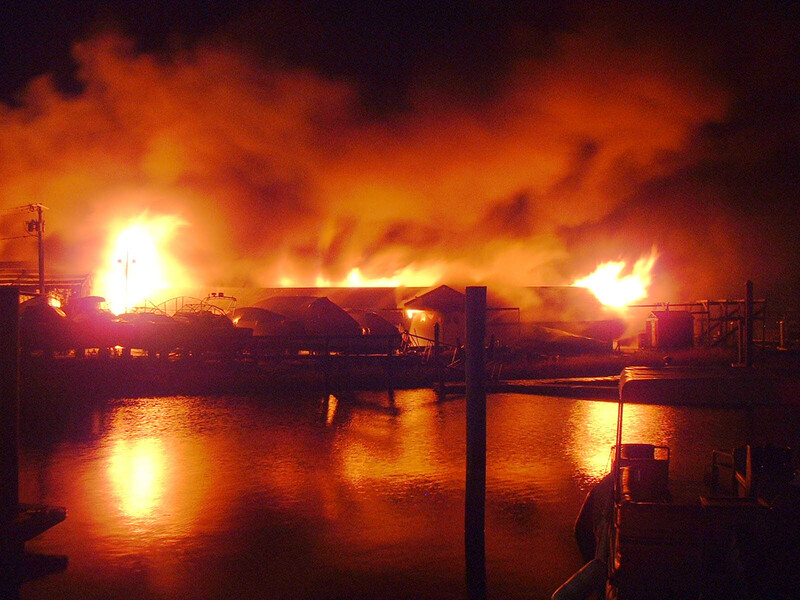 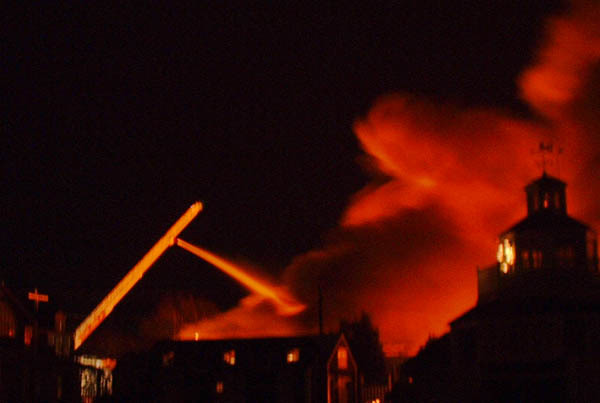 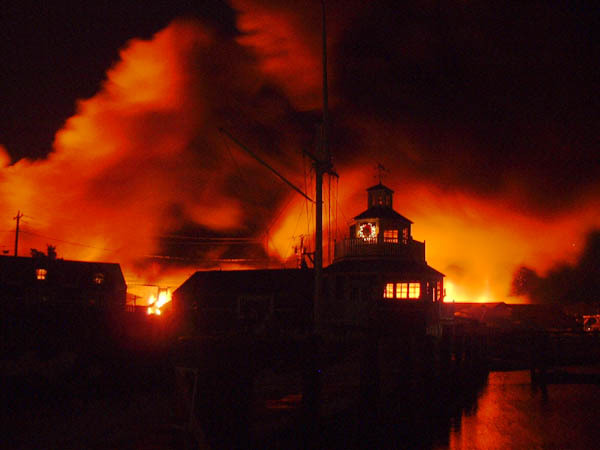 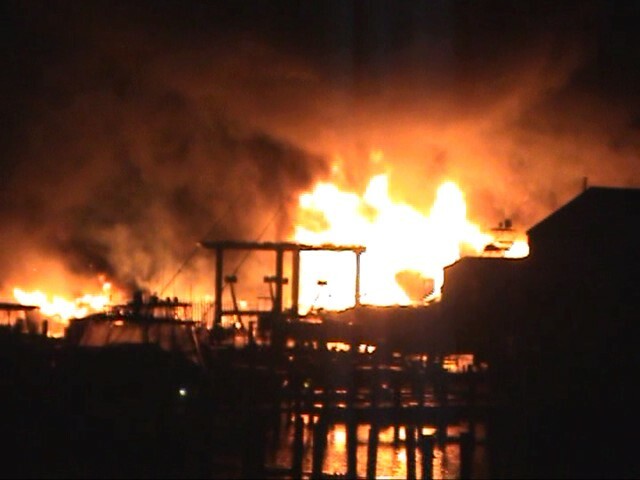 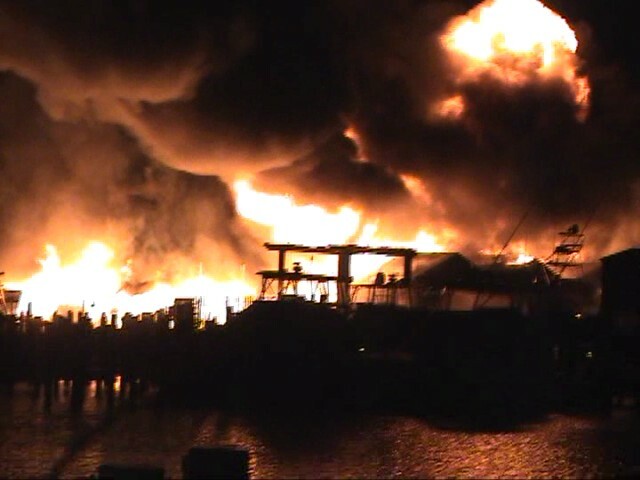 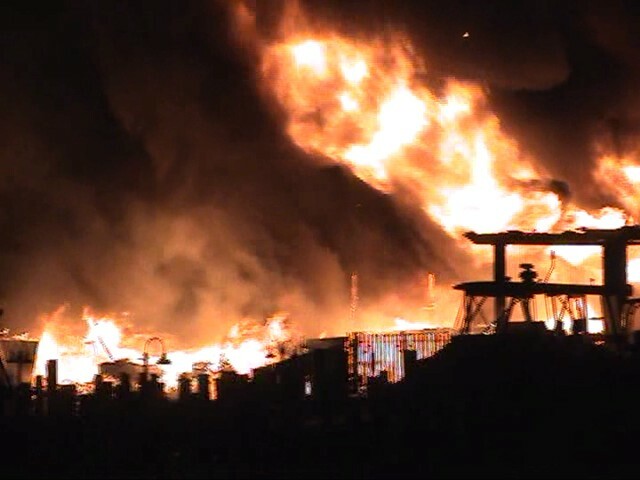 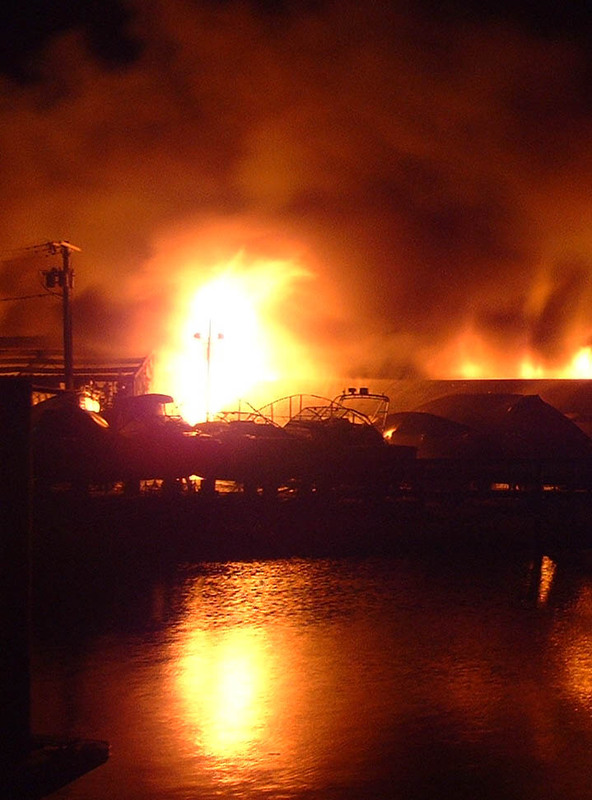 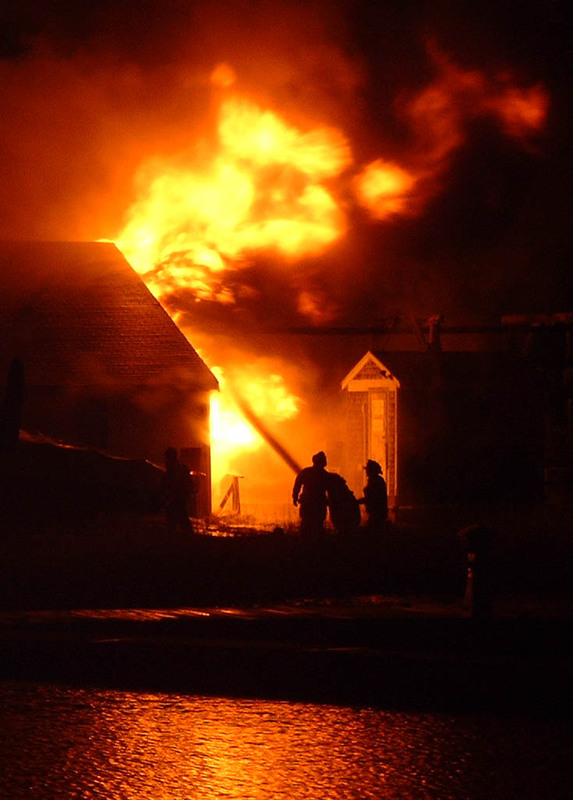 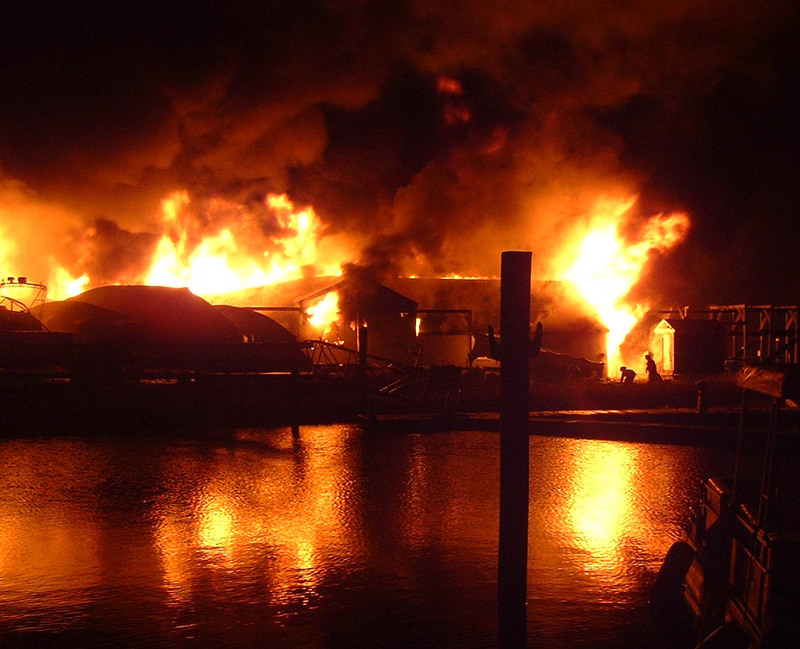 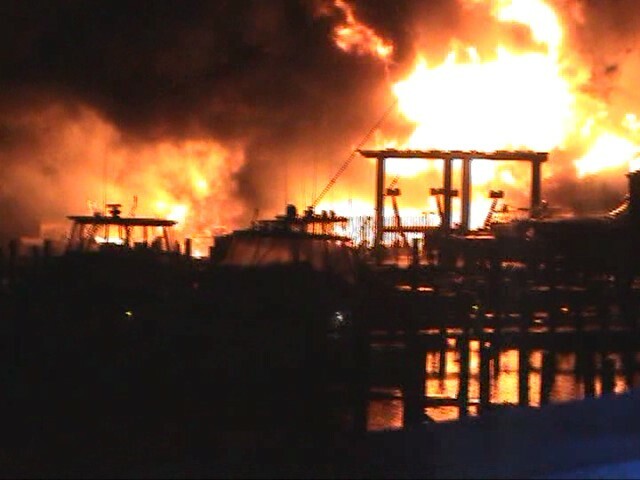 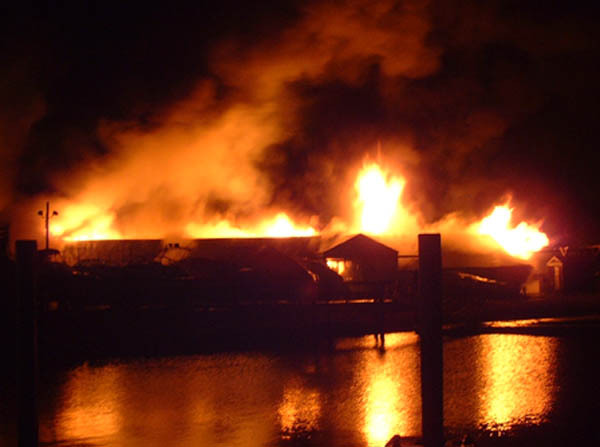 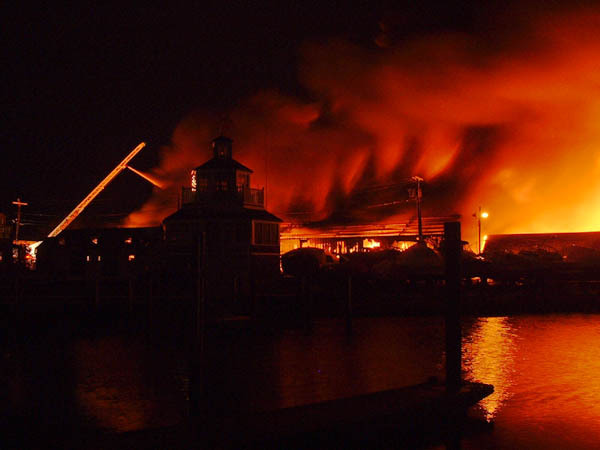 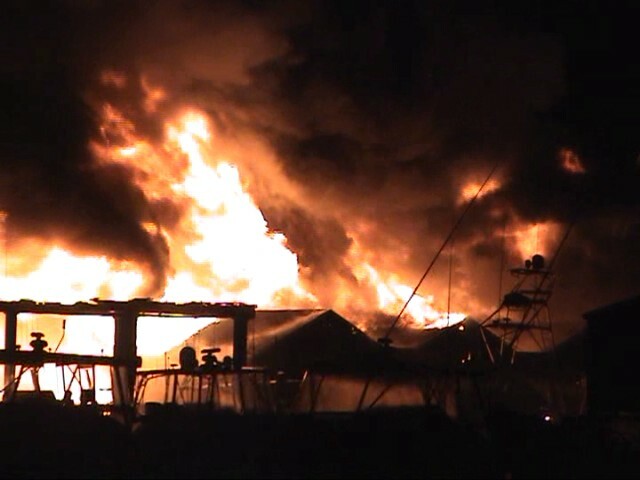 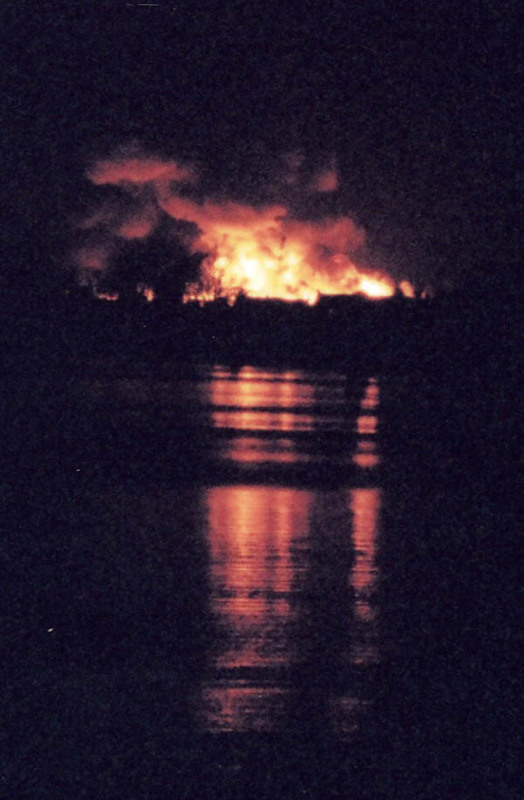 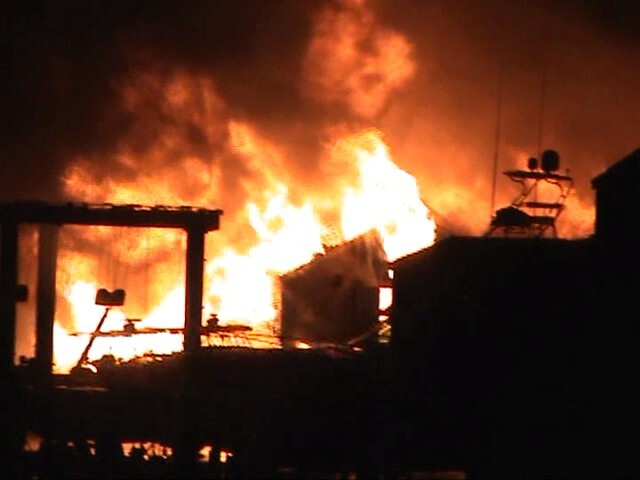 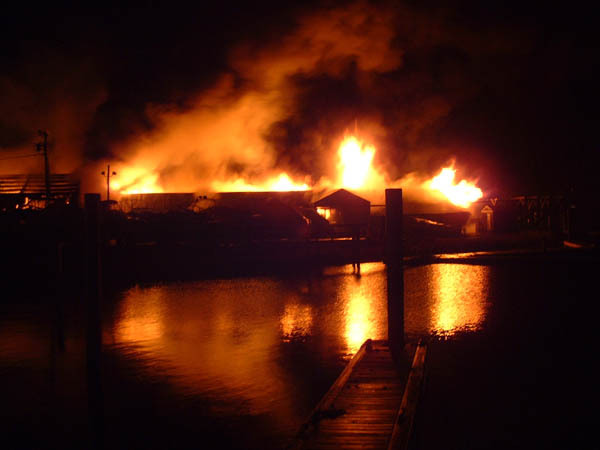 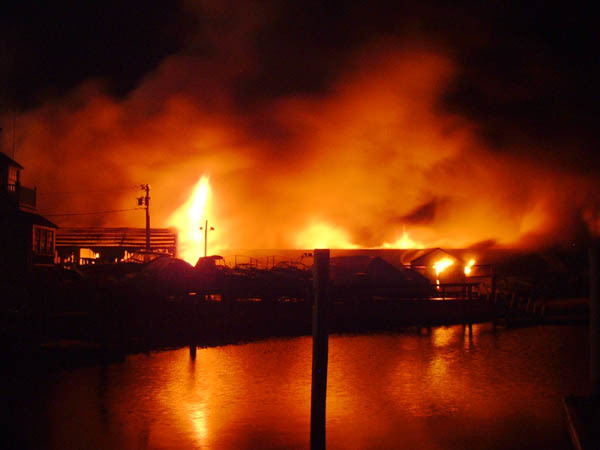 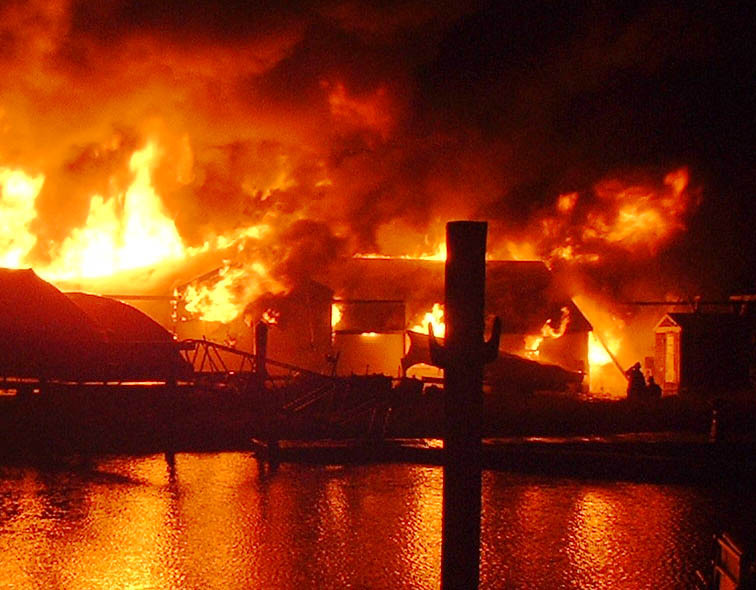 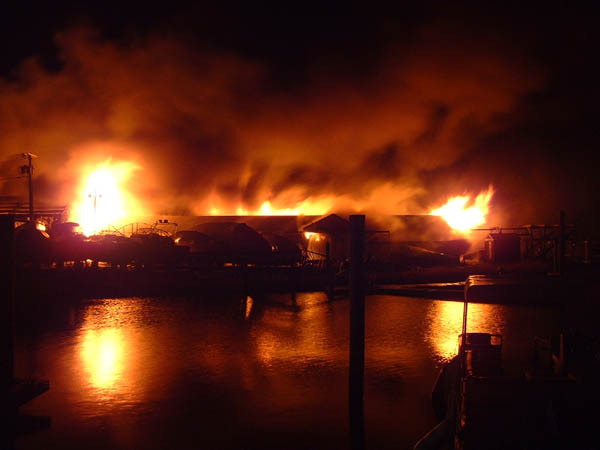 Photo from Oyster Harbors bridge of fire on Oyster Harbors Marine side. 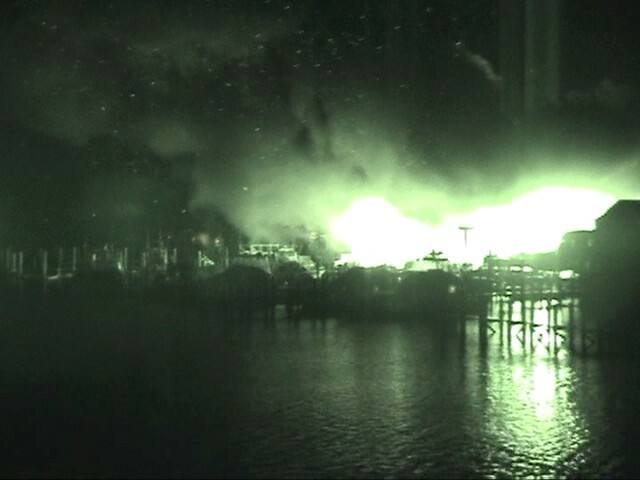 View from Nauticus Marine dock. 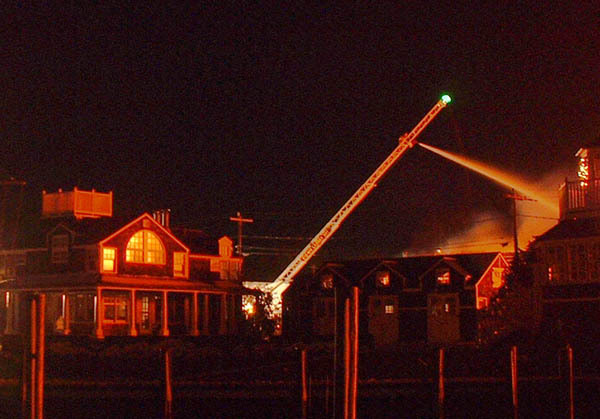 The potential residential exposures surrounding the complex were fortunately never endangered.